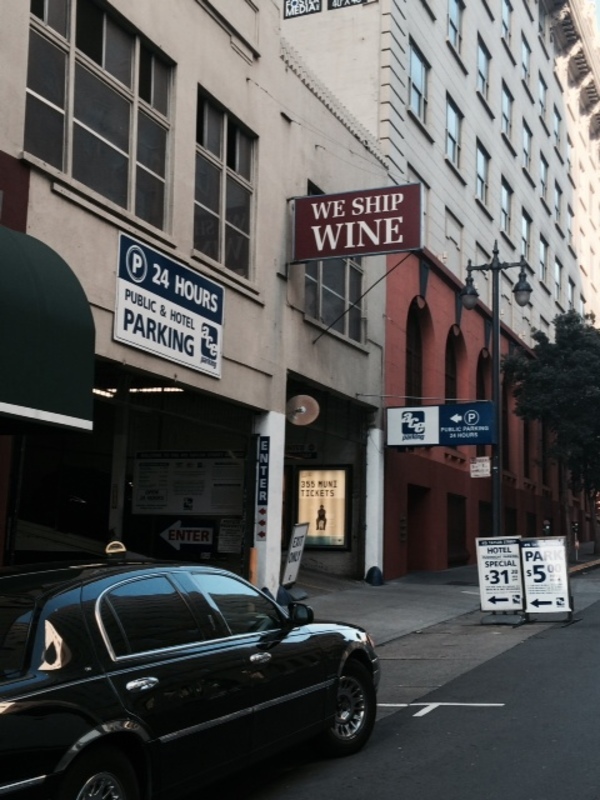 This is a covered lot under the Napa Wines sign. The lot is inside a gray stone building that abuts a red stone building. 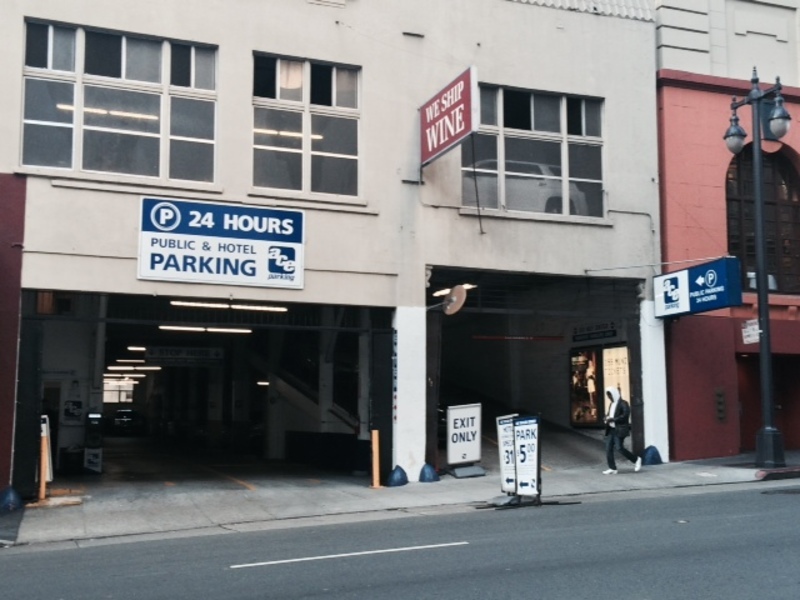 This garage is located downtown, we're three blocks from Union Square Park and the Contemporary Jewish Museum. Other nearby points of interest include the San Francisco Museum of Modern Art, AT&T Park and the Exploratorium.